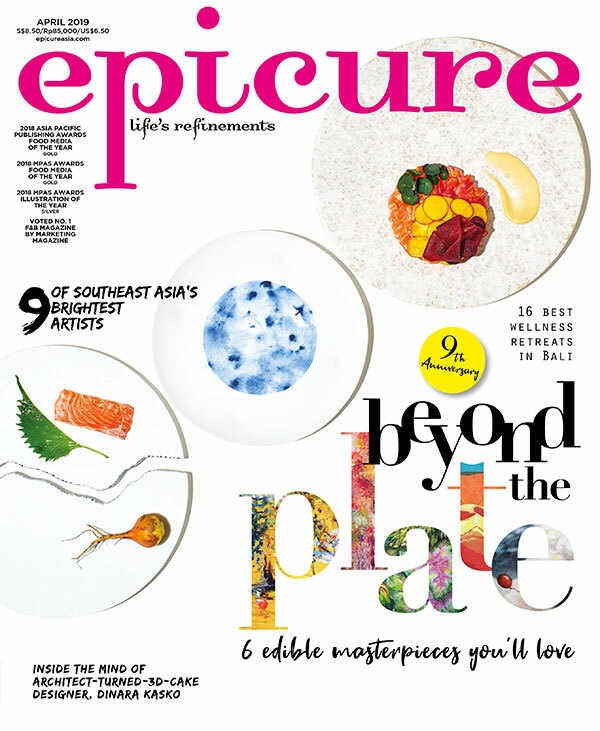 This issue, we check out the holy grail of Cantonese roast meats, siew yoke, or roasted pork belly. Pork fat has recently made the news as an unlikely health food, ranking eighth in a list of nutritious foods (though you might want to take the finding with a pinch of salt). The cut used to make this indulgent dish is known as san cheng rou (three-layered meat), streaky pork with layers of fat and lean meat. Although somewhat similar to the German roast pork knuckle, the Cantonese-style pork’s crackling is more brittle. This is because the skin’s entire surface is pricked with countless holes and dried out before roasting, making it light and crispy. Modern cooking methods include roasting the meat with a salt-crusted skin, which draws out moisture and keeps the skin dry and crisp. A light brushing of vinegar before roasting also helps to dehydrate the skin. For the ultimate crust, the skin is roasted under high heat till it blisters and chars; a serrated knife is then used to scrape off blackened bits to reveal a light, crunchy crackling. Siew yoke is usually served with a sharp mustard sauce to help cut through the richness of the meat. We went to town in search of that distinctively glorious melt-in-your-mouth fatty texture, capped by a salted and golden brown coat with a characteristic crunch.